Is there anything more indulgent than luxury organic cotton bedding? Yes, yes there is – personalised luxury organic cotton bedding. With Woolf With Me, you’ll never lose a wrap, sheet or pillowcase again folks! We won’t deny it’ll be a little pricey to swap out your whole linen cupboard with Woolf With Me personalised bedding, but for that one-off present at a baby shower this personalised gift is perfect. 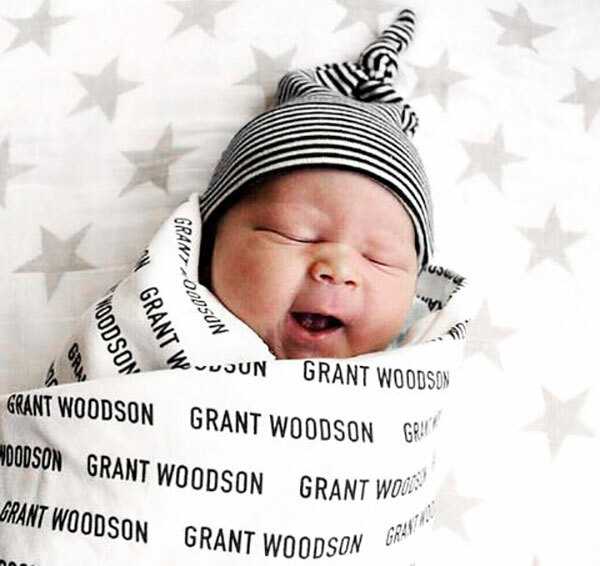 Especially so given parents spend so long agonising over naming their babe, they deserve to have it emblazoned on their linen. 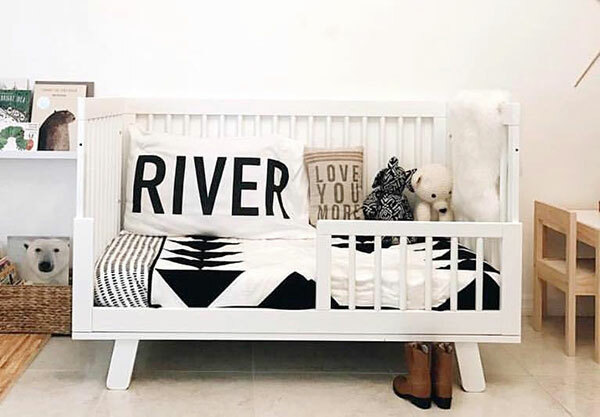 Made from crisp white organic knit cotton, toddler and full size pillowcases are available, as are fitted sheets and baby swaddles and you can have your choice of names (or words) printed in any colour you wish – simply choose from the rainbow of options. 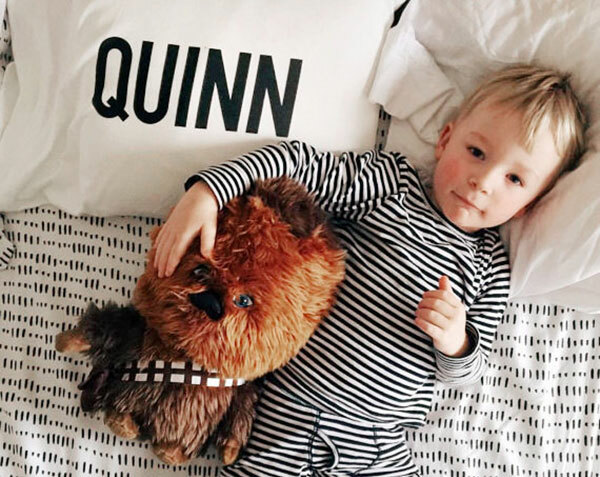 Prices start at $77 for a toddler sized pillowcase. Shop direct at Etsy store Woolf With Me.